One click way to call up the New Releases on Angels from Barnes and Noble. Amazon Synopsis: A gorgeous new edition of the New York Times bestseller that has sold more than a million copies. Amazon Synopsis: Angel lore, angel stories, angel advice, and angel wisdom: whether you’re seeking guidance, healing, or inspiration from these heavenly messengers, you’ll find it in this splendidly illustrated Angel Bible. It’s filled with enlightening knowledge: you’ll learn about angelic calling cards, messages, and visions, and discover how to sense an angel’s presence, create an angel altar, keep an angel gratitude book, and meditate and dream with the angels. Find out about angels of many lands and their hierarchies, and explore the connections between angels and astrology, colors, crystals, essential oils, kabbalah, and the chakras. Amazon Synopsis:: One of the most common ways in which angels speak to us is by showing us repetitive number sequences. Since the publication of her best-selling book Angel Numbers, Doreen Virtue has received even more information from the angels about the meaning of number sequences such as 111, 444, 1234, and so forth. Amazon Synopsis: In Angels All Around Us (previously titled The Invisible World in hardcover), the international bestselling author of A Travel Guide to Heaven and Ten Prayers God Always Says Yes To explains the awesome and mysterious reality of the spiritual dimension that surrounds and permeates our very existence. All aspects of the spiritual realm are discussed, including the existence of angels and demons, the whereabouts of loved ones who have passed, the gift of grace, heaven, hell, and even the presence and activity of God in our lives. In the second half of the program, Sylvia leads a meditation that invokes the presence of our angels and individual spirit guides, and invites them to communicate with us. We feel their protection, receive their healing, and with Sylvia’s encouragement, learn how to ask them for the help we desire. A beginner’s book on angels. Information on the various kinds of angels, how they are different from us, how to interact with your angels, how they give us signs, and what kind of help angels can give us. Contents: Who Are the Angels? 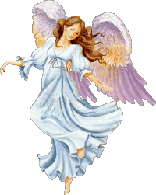 The Angelic Realm, Connecting with Your Angels, Signs from the Angels, Angelic Protection, Angels Help Us Find What We’re Looking For, Angelic Help with Relationships, Angelic Help for You Career and Life Purpose, Healing with the Angels, Angels on Earth, Frequently Asked Questions about Angels. Amazon Synopsis: Angels have been with us in every time and culture, and in many religious traditions. ASK YOUR ANGELS vividly chronicles how they are currently reaching out to every one of us in a totally new way, bridging our physical reality with their pure spiritual energy. The authors show us how we can draw on the power of angels to reconnect with our lost inner selves and to achieve our goals, whether they be better relationships, healing an illness, or recovery from addiction. Amazon Synopsis: The well known and acclaimed work of Dr. Joseph Lumpkin has been enlarged to include new research on the Books of Enoch, Fallen Angels, the Watchers, and the Nephilim. After presenting extensive historical backgrounds and brilliant translations of The First, Second, and Third Books of Enoch, Lumpkin takes time to piece together a historical narrative of Fallen Angels, the Watcher, and the Nephilim, using his extensive knowledge of ancient texts. The history of the Fallen Angels is sewn tightly together using such books as Enoch, Jasher, Jubilees, The Book of Giants, The War Scrolls, and many others. The story will astonish you. - - - New information on the First Book of Enoch is greatly expanded. Lumpkin describes the Calendar of Enoch and its pivotal place in the prophecy of Daniel. He takes First Enoch apart, section-by-section to describe its history, the time frame of authorship, and its contents. Copious notes are included throughout. - - - This volume, containing The First Book of Enoch (The Ethiopic Book of Enoch), The Second Book of Enoch (The Slavonic Secrets of Enoch), The Third Book of Enoch (The Hebrew Book of Enoch), and The Book of Fallen Angels, The Watchers, and the Origins of Evil. Expanded Commentary is included for the three books of Enoch, as well as the sections on Angels, Prophecies and the Enochian Calendar. Amazon Synopsis: A professed clairvoyant, Geoffrey Hodson believes the existence of angels to be real and tangible beings. The information contained in this volume was clairvoyantly received daily during a holiday visit to a remote English valley, and the author has given here the first part of teachings which continue whenever he can escape from his work in London to the peace and quiet to which are essential for their reception. Amazon Synopsis: This is a NEW (2010) easy-to-read translation by ancient languages scholar Dr. A. Nyland and is NOT one of the many Public Domain translations of Enoch NOR IS IT A REWORDED PUBLIC DOMAIN VERSION of Enoch. Great advances which have been made in ancient word meaning in the last twenty years were unknown to the translators of the public domain versions of the late nineteenth and early twentieth centuries. There are copious background notes and cross references to Bible verses. This book is an easy to read translation with cross references and notes. Despite the current trend for non-translators to reproduce public domain versions (both as is and disguised by slight rewording) as a commercial venture, be aware that such public domain versions do not take advantage of recent scholarship in word meaning or any corrections in translation. This new translation by Dr. A. Nyland contains all three books of Enoch: 1 Enoch (Also called The Ethiopic Book of Enoch) 2 Enoch (Also called The Slavonic Book of Enoch, The Secrets of Enoch). This volume contains the extended version of 2 Enoch, The Exaltation of Melchizedek. 3 Enoch (Also called The Hebrew Book of Enoch) Note that this is Dr. Nyland's translation and NOT a public domain work. 1 Enoch tells of the Watchers, a class of angel, who taught humans weapons, spell potions, root cuttings, astrology, astronomy, and alchemies. The Watchers also slept with human women and produced the Nephilim. For this, they were imprisoned and cast into Tartarus. This is also mentioned in the New Testament. In 2 Enoch, two angels take Enoch through the 7 heavens. This volume contains the extended version of 2 Enoch, The Exaltation of Melchizedek. In 3 Enoch, Enoch ascends to heaven and is transformed into the angel Metatron. This is about the Merkabah and is of interest to Kabbalists. People interested in Theosophy and Rosicrucianism will find this book invaluable. The Complete Books of Enoch is also an invaluable reference for those interested in Theology and it is also a valuable Christian reference. Dr. A. Nyland is an ancient language scholar and lexicographer who served as Faculty at the University of New England, Australia. Dr. Nyland is also the translator of "The Source New Testament with Extensive Notes on Greek Word Meaning," "The Book of Jubilees," "The Gospel of Thomas," the ancient Hittite "Kikkuli Text," and "The Psalms: Translation with Notes." Amazon Synopsis: The “next step” for those who want to discover angels in their lives, this book goes beyond angelic appearances to a keen new awareness of how angels influence world evolution and one’s own personal psyche. You will explore new research on angels’ roles in personal and planetary karma, the angelic hierarchy, the origin and destiny of Christ, archangels and fallen angels, and the meaning of angels in the Revelation. Amazon Synopsis: The Angels are powerful healers, yet they cannot help you unless you ask for their assistance. In this uplifting CD, Dr. Doreen Virtue, a metaphysical healer who works with the angelic realm, helps you discover how you can receive healing assistance from your angels. Doreen discusses various ways that angels can assist you in healing your physical challenges, relationships, finances, careers, friends and family members; as well as helping to ensure your physical safety. She also leads you through a powerful meditation that invites archangels, and your own guardian angels, to heal every area of your life. You'll meet Archangel Gabriel, who brings you angel affirmations and visualizations; Archangel Michael, who assists you with spirit releasement; and Archangel Uriel, who helps you build self esteem and confidence. You'll love how the angels help you feel refreshed, energized and revitalized. Amazon Synopsis: Hiring the Heavens offers a roadmap to transforming one's life by tapping the divine. In this book, Jean Slatter turns abstract expressions, such as "God is within you" and "ask and you shall receive," into something more concrete, more immediate, and real. She suggests readers recognize themselves as part of the divine plan of creation and teaches them to simply believe that the "angels for hire" can help them solve problems, both small ("jewel sleuth" to find missing pearls or "spiritual connoisseur" to find a great restaurant) and large ("romance committee" or "spiritual employment counselor"). While written in a lighthearted style, the book is based on the serious concept that everyone is part of "God" and that, like parents, God expects everyone at some point to grow up spiritually and take charge, and that the heavens will support the process if called upon. Using personal stories and real-world examples, Slatter shows how she transformed her life by "hiring the heavens" - and how others can, too. Publisher's Synopsis: The successful study of the subject of the Angelic Hosts restores to its essential monotheism every apparently polytheistic religion. At the heart of every great World Faith is the concept of an Absolute, Unknowable, Infinite and Unchanging Source and Foundation. From this, at regular intervals, emanates the potentiality of divine Ideation as the purest abstraction. This is the reality behind the One God, however formalized, of all religions and especially of the esotericism of the Ancient Mysteries. At this stage in the process of emanation from the Absolute, unity alone exists. Contents: Foundations: definition of terms, creative processes, man the microcosm; Descriptions: Concerning the Gods; Earth's Angelic hierarchies, Color language of the Angels; The Sephiroth; Sephirothal Tree, Auric Tree of Life, Ten Sephiroth; Cooperation. Synopsis: Moolenburgh has compiled a collection of stories sent to him from people all over the world describing their encounters with angels. Featuring special sections on the history and hierarchy of angels, their individual roles as messengers and protectors, and real-life examples of angel miracles, 101 Ways to Meet Your Angels is all readers need to meet the angels that offer love, support, and guidance—each and every day! Amazon Synopsis: Angels are our inner companions. They help us look at the world in ways that infuse our lives with vitality and assist us to experience the deepest levels of understanding, creativity and caring. Each Angel Card quality evokes your intuitive abilities and renews your spiritual connection. Amazon Synopsis: Poetry, music, literature, and art abound with inspiring portrayals of angels. Nearly every religion includes some description of these celestial beings. Do angels really exist? Can we call upon them when we need them? What do they look like and why are they here? After more than 60 years as a psychic and 20 years of studying angels, internationally renowned psychic Sylvia Browne presents the answers to these and other puzzling questions. Sylvia Browne’s Book of Angels combines her personal experiences and extensive research with the heartwarming stories of countless contributors, and the breathtaking illustrations of Christina Simonds. Today, as the nightly news reports one disaster after another, books, TV shows, and movies are filled with stories and tales of angels. Is it mere coincidence, or are angels making their presence known? In these chaotic times, Sylvia Browne’s Book of Angels brings a reassuring message of God’s caring, compassion, and loving concern from the blessed angels who surround us each day. After reading ten pages of this book I got the impression that it was not written by a human mind, or minds. The Urantia website description says, “The Urantia Book, first published by Urantia Foundation in 1955, claims to have been presented by celestial beings as a revelation to our planet, Urantia. Amazon Synopsis: If you believe in angels, then you will rejoice in this thrilling collection of stories attesting to angelic intervention in human affairs. If you do not believe, you may find yourself wavering as you read true stories of intervention. This exhilarating book offers overwhelming evidence that heavenly beings are very much with us -- combating evil, bringing news, warning of danger, consoling us in our suffering. It may even help you remember a time in our own life when an angel walked beside you.